We’ve just published another new video. This time something blue for blues waves and the blue skies ahead. Let’s dance and celebrate a little. Videographer Mira Stenger caught us live at Lagunitas Beer Sanctuary. The live show audio was impressively good. Add some B-roll from our Cotati Accordion Festival show (thanks to Jeff Stafford) and other bits and you’ve got an authentic taste of a Mad Ms performance. 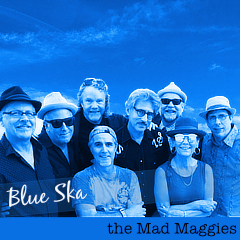 Cotati Accordion Festival, Lagunitas Brewing Co., live recording, ska, Wally Sound, youtube.